Here’s another rat story but with a positive spin instead of ending up at the wrong end of a pitch fork. 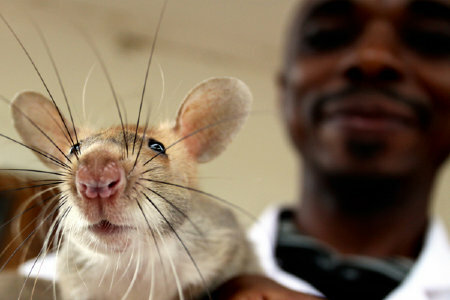 In Tanzania rats have been�successful�trained to hunt land mines. Now thailand is trying the same along the Burmese border where humans and elephants have had a history of land mine casualties. Posted on 09.29.11	to articles, photos. Subscribe to follow comments on this post. No comments yet. Add your thoughts or trackback from your own site.